New research into road traffic accidents has revealed there is a high number of children involved in accidents near British schools. The figures, which have been provided by the insurance industry have been rebuked by the government who say that road traffic deaths have fallen significantly in recent years. The new data which studied 85,814 child casualties over 5 years, pointed towards a trend that saw a large portion of schools having at least one child injury per year during the period 2006 – 2011. The survey was conducted jointly by Road Safety Analysis and AXA Car Insurance and was presented in terms of location. It showed that London was one of the high-risk areas for road traffic accidents near schools accounting for 13% of child casualties followed by Liverpool next, then Manchester, Birmingham and Leicester. The results did not highlight when the accidents took place (some could have been during the school holidays) and it was not clear whether or not the road traffic accident victims were pedestrians, cyclists or car passengers. An online tool has now been developed for parents in the hope they will understand more about road traffic risks around local schools. On the website, there will be statistics showing the number of vehicle collisions that have happened within a 500 m distance from the school. Speaking for Road Safety Analysis, director Dan Campsall said: “Translating this wealth of data into something that is meaningful for parents, teachers and community leaders has its challenges. He added that it was important to understand the immediate road risks around local schools in an effort to make safer communities for children in the future. He said that the data can be used to support further changes to protect pupils. Conversely, government information demonstrates that in 2012 there was a 6% decrease in the number of children killed or seriously injured on roads and that child casualties were down 11% on the previous year. “Road deaths are at a record low and child casualties have fallen considerably in recent years but I am determined to make our roads even safer,” said Road Safety Minister Stephen Hammond. 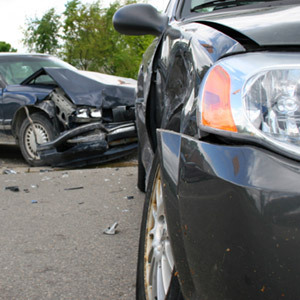 If you feel that you have cause to make a claim for compensation following a road traffic accident, contact our team of no win no fee solicitors* on the telephone number above or fill out our online injury claim form today.